I am the wife of a dreamer – a musician. I believed in my husband, Adam, before I even met him. I saw him perform in our junior high school talent show. He sang “Tears in Heaven” by Eric Clapton and I, along with the rest of the audience, thought that he had an amazing voice. He continued to stand out during high school musical concerts and as a drummer/singer with his parents’ band. After he graduated high school he stayed around town for a year to earn money to move to Nashville, Tennessee. During this time, we began dating and I always knew that music was what Adam was born to do. In addition, to my belief in his voice, we also shared a strong faith in God. 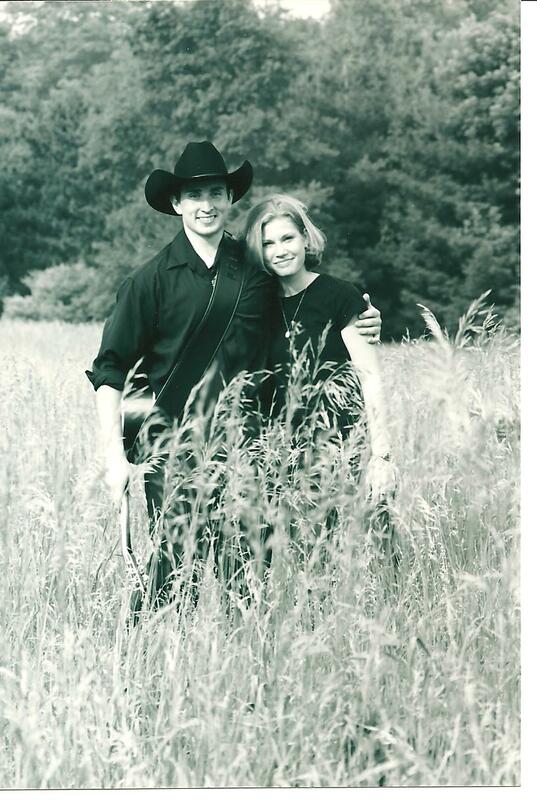 In 2002, he moved to Nashville to pursue his music career and I headed off to a small college in the middle of a cornfield in Indiana. We had a long distance relationship for three years. I definitely didn’t have the typical college experience. Most of my nights were spent talking on the phone and doing school work. I took extra courses most semesters and went to summer school. I graduated early so that we could get married and I could follow him south. I never once hesitated about leaving my supportive family and moving to a new life, since I believed in Adam and his God-given abilities so much. Now here we are, nearly 6 years, a house, and two beautiful daughters later. It has been a long, winding road so far in regards to Adam achieving his dream. He has written numerous songs, pursued an 80’s cover band, a band project, and a duo project. He has been playing guitar and singing backgrounds for a young female country artist. He is a professional demo singer. Last year, he began a new path as a solo artist and has reached a new level with songs that truly fit his voice. In some ways he has come so far and in other ways, he is only just beginning. As I said before, I have always believed in Adam. I have always trusted that God has a plan for him, since he is so musically gifted in so many ways and gets along so well with other people. I have been praying that God will show him the steps that He wants Adam to take. Recently, my prayers were answered. Adam had been struggling with what to do with his music and was losing hope. Due to some conversations with a couple of guys on the same day, he discovered that he had lost his purpose. After some soul searching and some other God “coincidences” around the same time, he renewed his goal of wanting to speak the truth and bring God to a secular audience. He has his passion and excitement back and I am very excited to see what God has in store for our lives. We have already been blessed in countless ways, but when trying to make a dream a reality there are always sacrifices and obstacles. This blog will capture these times, as well as the positive, hopeful moments. I feel that a big part of my mission in life is to support Adam in his career and to be the best mother that I can be. I’m excited to be on this journey with the family that God has given me and to share these experiences with you!